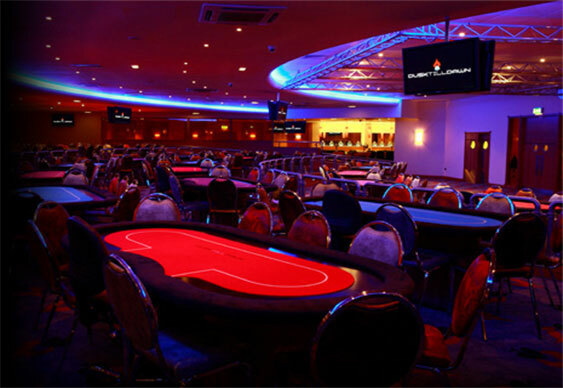 331 players headed to Dusk Till Dawn on Saturday dreaming of UKIPT Nottingham glory but after nine levels of hard fought action just 49 were left chasing the £213,000 first prize. The man leading the charge is Spaniard Juan Benito (1,473,000) followed by UK tournament reg Ben Vinson (1,216,000) and online qualifier William Elliott (1,178,000). Sky Poker pundit Ryan Spittles (1,150,000) is well placed for an extremely deep run, as is two-time UKIPT winner Joeri Zandvliet (690,000). High roller runner up Richard Kellett is very much in the hunt too and returns with a very playable 490,000. The money bubble burst midway through Saturday with Edward Clark the unfortunate victim. There was better news for the likes of Dave 'Devilfish' Ulliott, Jake Cody, Fatima Moreira de Melo, Martins Adeniya, Tom Middleton and our own Jeff Kimber who all made the money before hitting the rail. The action resumes at noon today with railbirds able to follow the action via the PokerStars live stream.